Seo r-phost a fuaireas trathnóna nuair a d’fhill mé ón obair ón dTaoiseach, Brian Cowen. Thíos faoi tá mo fhreagra ar an litir seo. It’s a day when there’s so much at stake at local and European level, where voters face an absolutely clear choice between a party that cares about the best interests of the country, and parties who are playing politics and aren’t living in the real world. Tomorrow is a day when we seek to elect the best possible councillors for councils and the best MEPs for the country – Fianna Fáil councillors and MEPs. I want to thank you – Fianna Fáil members, volunteers and party workers, for working so hard on the doorstep these last few weeks and for your final efforts today and tomorrow. Contrary to what the bad news brigade says, I’m proud that our 723 candidates have run on such a positive agenda and won’t join others in talking down the country. Let’s get out tomorrow and show everyone that you can’t keep our party down. Fianna Fáil is a Republican Party. That is why we have always fought for the best interests of the Irish people in good times and bad. That’s not going to change now. We’ve got a plan for economic recovery, it’s a good plan, it’s starting to work and we’re going to stick to it. Your final efforts will make all the difference. Whether it’s handing out leaflets tonight or helping voters get to the polls tomorrow, the people who work tirelessly for Fianna Fáil are the reason this party will, like the country, ride out the rough times and renew itself. Let’s get as many people as we can to the polls tomorrow. Every last vote will matter. P.S. Our website has a really easy tool that you can use to remind people to vote tomorrow. http://www.fiannafail.ie/vote. Why not remind your family and friends right now? Beatha agus sláinte! Dá mbeadh aon spéis nó dúil agat nó ag do pháirtí i mo vóta, bheithfeá tar éis cúpla focal suarach i nGaeilge a chur sa litir seo. Mar atá sé, tá an litir seo, maraon le litreacha eile uait agus ó do chomhleacaithe, ag imeacht díreach go dtí an bosca brúscair. Labhair liom i mo theanga féin…. Ní fheadar an bhfuil sé ró mhall moladh do gach duine a léann an blag seo agus a fuair teachtaireacht dá leithéid ón dTaoiseach freagra cosúil le seo a chuir chuige. Is é seo an seoladh r-phoist: email@fiannafail.ie. Foilsiú: 04/06/2009 . igaeilge a d’fhoilsigh. Ranganna: An Ghaeilge, Cúrsaí Reatha, Nuacht. Clibeanna: An Taoiseach, Brian Cowen, Fianna Fáil. Tá comhbhá éigean agam do Bhrian Cowen as ucht an chonspóid is déanaí ina bhfuil sé sáite. Tá mé ramhar, mar atá sé, b’fhéidir níos raimhre, agus ag iarraidh meachan a chailliúint i gcónaí [agus ní cabhair ar bith é go ngeillim le blaiseadh a bhaint as uachtar reoite ‘Guinness’ ag am lón i gCill Airne ag an siopa uachtar reoite ansin, Murphy’s Ice Cream]. Mar sin de, ní thaitneodh sé liom dá mbeadh mo phortraid is mé lom nocht, ciocha fear is uile, ar chrochadh sa Dhanlann Náisiúnta. Ní thaitneodh sé liom ar chuinsí critice ealaíon agus ar chúinsí phearsanta! É sin ráite, chuaigh oifig phreas an Rialtais thar fóir nuair a d’éilíodh leithscéal ar RTÉ mar gheall ar an dtuairisc a rinne siad ar an gconspóid, ar a dtugtar Cowengate/Picturegate [cén bhaint atá ag ‘gate’ leis an scéal, ní fheadar?]. Eachtra páistiúíl é seo ó thús go deireadh. Seo chomh náireach is atá sé, do RTÉ agus don Taoiseach féin. Tá eagarfhocal san Irish Daily Mail inniu ag gearán faoi ‘chlaontacht’ ar an gCraoltóir Náisiúnta. Seo an ‘Daily Mail’, nuachtán le traidisiún fada claontachta maidir le nuacht na hÉireann. An lá go n-eiríonn le nuachtán le stair an Daily Mail léacht a thabhairt ar chlaontacht in iriseoireacht in Éirinn agus an cheart a bheith aige, sin droch lá oibre ag an dream a thug an t-údar sin do. Mar sin, bualadh bos do Oifig Phreas an Taoisigh agus do RTÉ! Foilsiú: 26/03/2009 . igaeilge a d’fhoilsigh. Ranganna: Cúrsaí Reatha. Clibeanna: An Taoiseach, Brian Cowen, Picturegate, RTÉ. Agus mé ag faire ar na tuairiscí aréir faoi imeachtaí an lae inné i nDáil Éireann, go h-áirithe an blustar a bhí ag teacht ó bhéal an taoisigh, cuireadh i gcuimhne dhom arís an comhairle a chur Machiavelli ar fáil roinnt céadta bliain ó shin: Ná bí ag brath ar phríonnsaí. Níl cuma an Phrionnsa ar ár dTaoiseach – nó orm féin – ach ní hé sin atá i gceist. Is ionann é agus ‘prionnsa’ chomh fada agus a bhaineann sé le caint Machiavelli nó is é an rud a bhí i gceist aige siúd nár cheart bheith ag brath ar laochra chun sinn a shábháil. In áit sin, ba cheart seilbh a ghlacadh ar do chinniúint féin agus, má thagann prionnsa i gcabhair ort, maith go leor ach ar a laghad tá tú ag beartú ar do shon féin ar aon nós. “As long as I am running this Government I will run the Government as I see fit…”, he shouted as the babble turned to roars, “…as I believe in, based on my philosophy! An Mháirt seo chugainn, deirtear linn, beidh plean á fhoilsiú mar thoradh ar na gcainteanna leis na bpáirtithe shoisialta agus sa phlean sin feicfear an straitéis chun teacht le cheile agus teacht slán ón ngéarchéim seo. Idir an dhá linn caithfear cur suas le gach mac mathar agus iníon athara ag teacht chun tosaigh le plean chun cúpla milliún a shabháíl. Cuid acu craiceáilte agus cuid acu bheithfeá ag súil leo. Now that our country is in dire financial straits, the Government has an opportunity to do something positive. A good place to start would be to get rid of the Irish language television station TG4, which is costing the taxpayer a fortune. It seems to me that we are pandering to a noisy, but tiny, minority of people who feel that we owe them a living. The Irish language is dead, so let’s bury it once and for all. Tabhair faoi ndeara go gcreideann údar na litreach seo, a fhoilsíodh san Irish Independent Dé Luain, gur ‘deis’ é an ngéarchéim seo le fáíl reidh le TG4 os rud é go bhfuil sé, dar leis an t-é a scrígh, chomh costasach sin ar an gcáin íocóír. Is é sin an cineál smaointeoireachta ar cheart bheith ag súil leis sna laethannta amach anseo. Níl sé ciallmhar – ach tá ‘ciall áirithe’ leis. 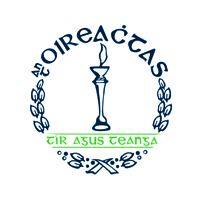 Sé sin le rá tá daoine ag féachaint timpeall agus iad ag déanamh breithiúnais ar rudaí le féachaint an bhfuil aon deis deireadh a chur le rud nach dtaitníonn leo agus cúpla céad míle nó milliún Euro a shabháíl ag an am chéanna. Creidim féin má tá aon rud le gearradh ba cheart gurb é an maorláthas é. Tá sé ceart go leor go mbeadh maorláthaigh ann le cinntiú nach bhfuil airgead an phobail á chur amú ach níl an oiread sin ag teastáil. Gan amhras ní mór a chur san áireamh nuair atá stat seirbhísigh á ligint chun siúil nach bhfuil an oiread sin á shábháíl sa deireadh thiar – os rud é go bhfuil cáin á ioc acu ag ráta 41%, ní shábhalfar ach an 59% eile má thuigeann tú mé. Ar aon nós tá gá le smaoineamh nach bhfuil siocaithe i ré na gcloch chun teacht as an sáinn ina bhfuilimid. Táím in amhras gur prionnsa é Brian Ó Comhainn ar féidir brath air sa phriacal seo. Suas dúinn féin atá sé teacht i gcabhair orainn féin. Foilsiú: 28/01/2009 . igaeilge a d’fhoilsigh. Ranganna: An Ghaeilge, Cúrsaí Reatha, Nuacht. Clibeanna: An Taoiseach, Brian Ó Comhainn, Machiavelli, TG4.